If you have questions or experience issues with the online Realm system please contact the church office, 704-385-8117. Give online using Realm. You can set-up recurring gifts or a one-time gift. Support missions through Vision 10-10-10. 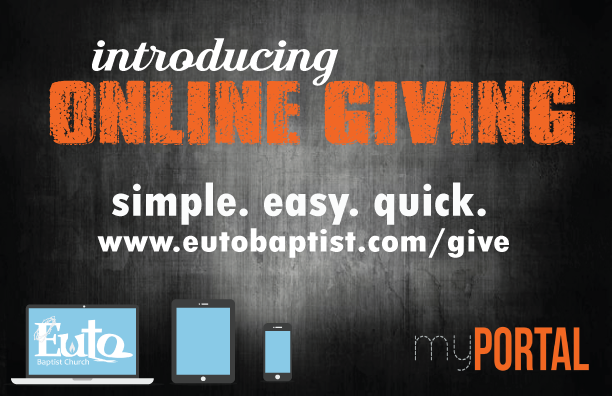 You can also text EutoGive Missions to 73256 to give to Vision 10-10-10. Login to your Realm account to managed your giving and view your contribution record.